Dr. Bishnu Prasad Panigrahi completed his MBBS at Sriram Chandra Bhanjdeo Medical College in 1976, followed by his MD certification at Delhi University in 1983. 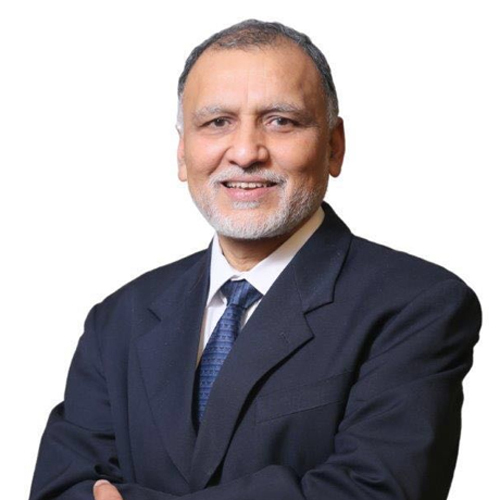 Furthermore, received his Post-Doctoral training in Cardiac-Anesthesiology, Neuro-Anesthesiology and Critical Care from Sri Chitra Tirunal Institute for Medical Sciences and Technology in 1984. Dr. Panigrahi has inspired and coordinated advances in healthcare as a medical educator, as a published author for SCB Medical College, enhanced his skills in Cardiac Anesthesiology and Critical care at Dunedin Hospital, Otago Medical School, New Zealand. In 1995 joined Indraprastha Apollo hospitals, as a Senior Consultant in Cardiothoracic Anesthesiology and Critical Care, the largest greenfield hospital in India, helped establish the Cardiac surgical program along with the surgical team. In 2001, joined Fortis Healthcare and helped them establish their first hospital in Mohali, Punjab, India. As Head of Anesthesiology and Critical Care helped set up an excellent facility which is presently one of the best in North India. In 2004, came back to Delhi and helped Maxhealthcare set up their first hospital in India. Chairman Anesthesiology and Medical Advisor established the Cardiac, Neuro and multi-specialty hospitals. In 2006 Maxhealthcare was the first in Australasia to have an Operating MRI Brainsuite. Subsequently intimately involved in helping commission a chain of hospitals across Delhi National Capital Region and hospitals in North India. Since 2012 working as the Group Head of Medical Strategy and Operations for Fortis Healthcare, which along with Apollo are the two largest Healthcare providers in India. Present role responsible for clinician engagement, Quality and developing innovative health program designs for monitoring clinical outcomes. Part of the working group of ICHOM for developing outcome measures for CAD (coronary artery disease) and now on the Steering Committee for CAD at ICHOM.